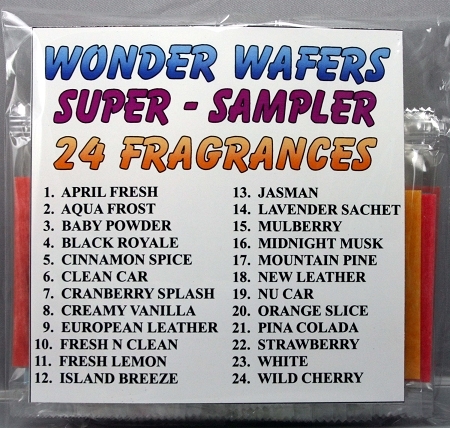 Wonder Wafers Popular "SUPER - SAMPLER" - Get One Of Each Fragrance Type "24 TOTAL"
Wonder Wafers “SUPER - SAMPLER” includes one Super Wonder Wafer of each Fragrance type (24 Total). 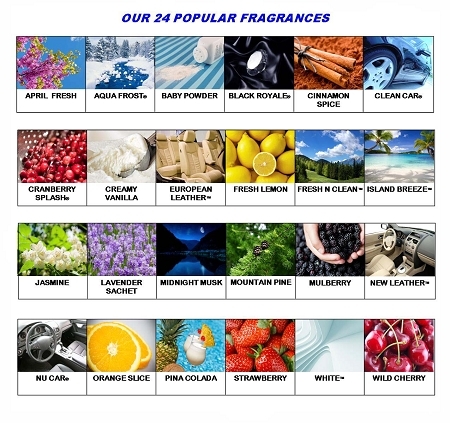 Each Wonder Wafer is Individually wrapped and perfect for Sampling ALL the Fragrances Available. FACTORY FRESH AND SEALED they will keep there amazing aroma until you are ready to use them. 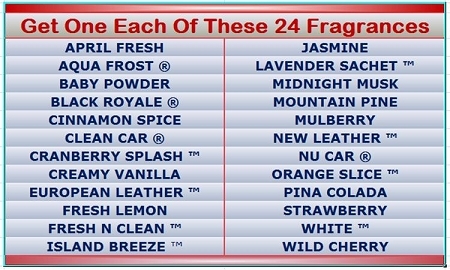 GET EACH ONE OF THESE POPULAR FRAGRANCES !! What a great idea. Wonder Wafers samplers allowed me to sample each fragrance and choose which fragrance I liked the best, without purchasing a lot of one kind of fragrance. 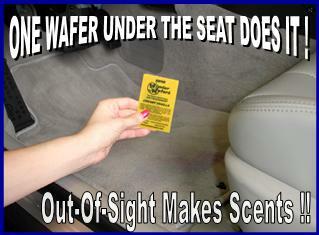 I just found the wonder wafer samplers on your website and ordered them. Received them on Monday (fast free shipping, thanks!). It's really hard picking my favorite ones, maybe I'll just keep buying these samplers. I'll be back for more!